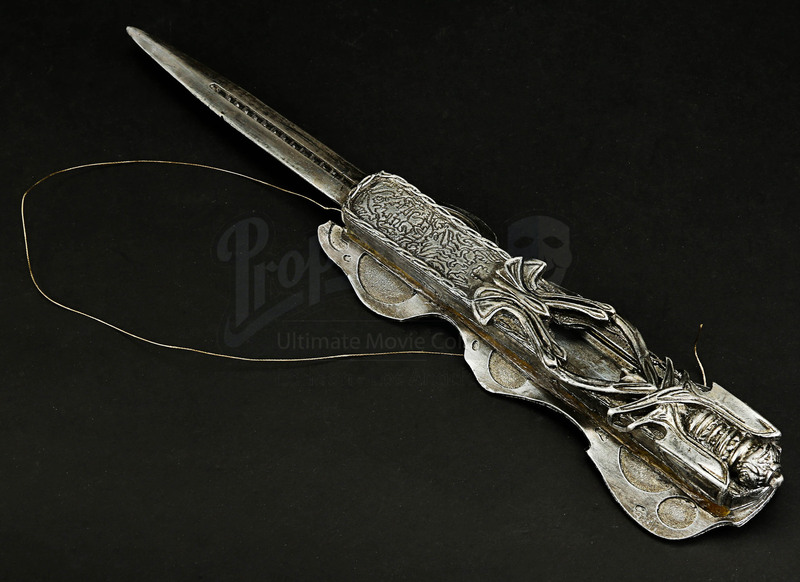 Benedicto's (Carlos Bardem) stunt wristblade from Justin Kurzel’s 2016 video game adaptation Assassin’s Creed. 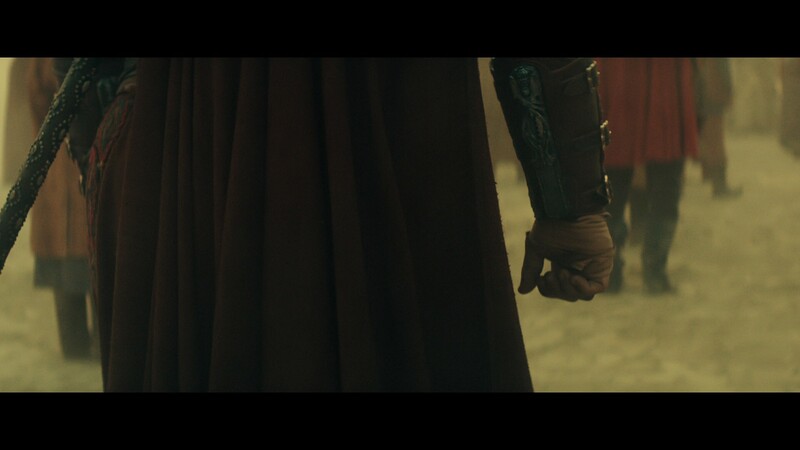 Benedicto, the Mentor of the Sevilla Brotherhood, used this style of wrist blade alongside his fellow Assassins as he battled the Templars to rescue the kidnapped son of Sultan Muhammad XII (Khalid Abdalla). 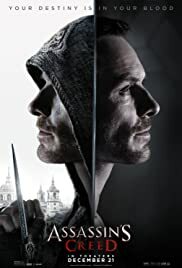 Hidden wrist blades were the signature weapon used by members within the Assassin Brotherhood, with this blade used for scenes in which the blade comes out from its hidden housing. 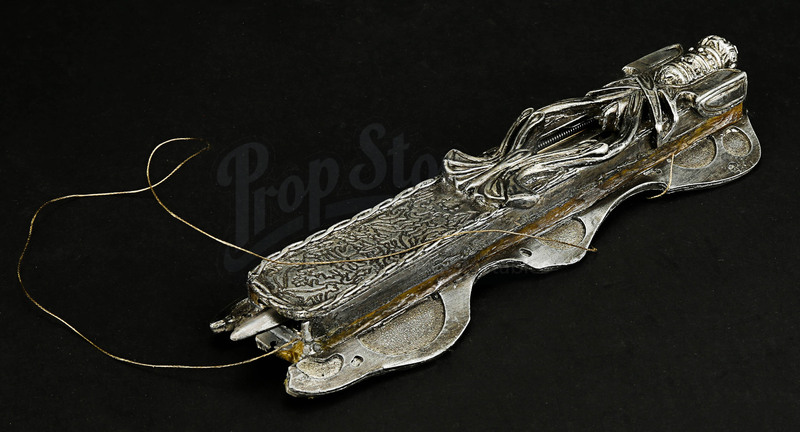 Made from resin, the wristblade has been finished in varying metallic silver shades to resemble the appearance of metal and features an elaborate blade cover with various cast-in patterns. 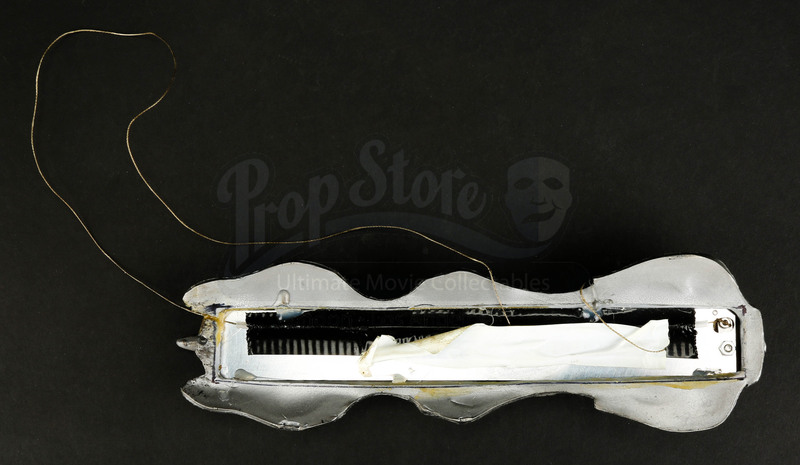 The back of the wrist blade features a strip of black duct tape that has been placed over a plastic tube that contains a long piece of wire, which when pulled with some force causes the blade to spring out of its metal housing. The wristblade displays signs of production use including pieces of glue on the back, wear to the paint work on the sides of the weapon. However, the piece remains in very good production used condition. Materials: Resin, Ferrous Metals, Man-Made Woven Fibres, Plastic.